Do you remember Lawrence Summers’ gaffe regarding women and the sciences? He referenced a “different availability of aptitude,” in 2005 while addressing an audience as president of Harvard University. It cost him his job. Would it surprise you that he might have unknowingly referred to a pervasive cultural bias that most likely affects women in every field, not just the sciences? Why stop at the fields…this bias is likely present in every transition over the arc of our lives. What could possibly have gotten me thinking about of our former Treasury Secretary? I stumbled upon “Bias Persists for Women of Science, a Study Finds,” in the New York Times this week and found it to be both disappointing and not surprising. Some crafty researchers from Yale designed the study. They asked participants to review a resume and evaluate it for a laboratory manager position. Biology, chemistry, and physics professors from three private and three public universities participated. 127 in all. Here’s the catch. Half of the resumes carried the name John, the other half, Jennifer. Scores on competence, likelihood to hire or mentor, and likely wages were startlingly higher for John than Jennifer. Surprised? Exact same qualifications. The response had no correlation to gender, age, teaching field or tenure of the reviewing professors. What does that mean? Female professors were just as likely as males to put John on a pedestal. Are you surprised? I wasn’t. What has surprised me is that my transition has been spent navigating similar cultural biases. I’ve found them to be invisible (sometimes) and impenetrable (less often). Women, our work, the appropriateness of work or the professions we choose, how we spend our time, how we choose to present ourselves. Need I go on? This week I also read, “In The Sea There are Crocodiles,” by Fabio Geda (Doubleday 2011) In this true story a ten-year old Afghani boy named Enaiatollah is taken by his mother from a remote village and deposited all alone in Pakistan. Her calculus is sobering. She believes he will fare better on his own than as a potential target or recruit of the Taliban. His story is frightening and courageous. And sad. At times he is lucky. At others he faces dire consequences because luck eludes him. It takes him five years to make it from Pakistan to Italy where he seeks and is granted political asylum. How did he accomplish this? Did he do so well because he was unaware of the real dangers he faced? At ten his mind couldn’t act as a filter or a critic or a thief. Does your internal voice ever adopt these characteristics? Mine certainly does. So what about this deftness? From what I’ve learned we need two complimentary forces at work during transition; the internal and the external. The internal work is truly mine alone…it is characterized by mental gymnastics intended to remove assumptions that may mar my path forward, a path unique to only me. The external is characterized by constant experimentation but challenged by very real biases. I won’t be Pollyanna-ish and imagine biases evaporate or internal voices relinquish their critical tone. What I can hope for is a journey characterized by far less risk than Enaiatollah’s but with just as much promise. 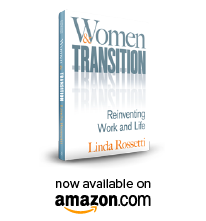 This entry was posted in Observations on Transition and tagged 2005 Stanford Commencement, bias against women, In the sea there are crocodiles, linda rossetti, New York Times Bias Persist for Women of Science, observations from a women's transition, Steve Jobs, transition, women's transition, women's transition issues. Bookmark the permalink.